Playgrounds and children farms are quite popular in Arnhem and can be real fun. Always make sure you have some spare clothes and boots with you as the Dutch do like their water and there usually are water sections for the kids to play. 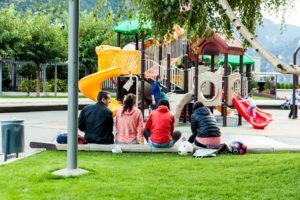 We have compiled a list of some of our favourite parks, playgrounds and farms in and around of Arnhem. Enjoy! Farms with animals and great playgrounds are a highlight in Arnhem for families with little children. Every farm has their own character and is unique, often with different activities and festivals throughout the year. There usually is a cafe on the grounds. Make sure you try their apple pies! De leuke Linden – Leuke Linde is one of the most popular outdoor playgrounds in Arnhem. Children of all ages will be happy there. Water play section inclusive. Year-round events and free entrance. https://www.natuurmonumenten.nl – there is a variety of playgrounds to chose from, all outdoors. There are even playgrounds in the woods to help encourage your little ones to keep on walking until the end! http://www.uiterwaarde.nl– an outdoor playground next to Rijkswoerdse Plassen in Arnhem South. http://www.watermuseum.nl – In the beautiful Sonsbeek Park Arnhem you can find the water museum. Next to the water museum there is a lovely water playground great for smaller children. Don`t forget swimming trunks or spare clothes – Guaranteed wet children. Directly next to it also a cafe where you can get drinks and snacks. http://www.brakkefort.nl/index.html – Brakkefort is another big playground in Nijmegen and a great place to spend a day out. You will find lots of attractions and extra activities over the year. Check it out and enjoy. http://www.deleemkuil.nl (Nijmegen) – A must go in the summer! A huge playground and adventure place for children of all ages. Big water playground, train and restaurant. Entrance not free but totally worth it.